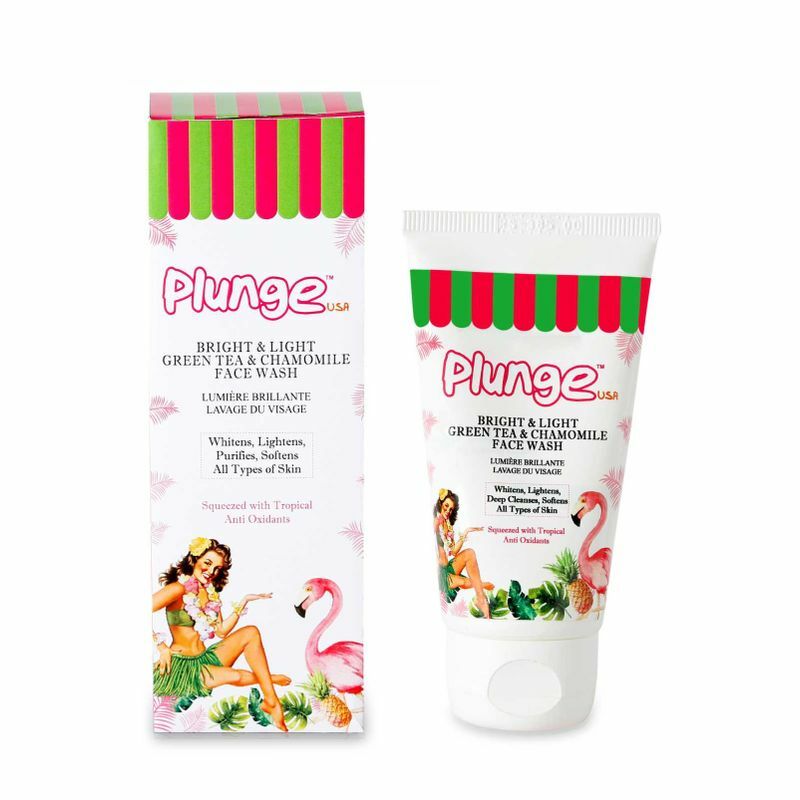 Plunge Bright & Light Green Tea & Chamomile Face Wash Cleanses the skin thoroughly without stripping skin's natural moisture level. Immediately skin looks brighter and radiant. Enriched with the purest form of Natural Green Tea & Chamomile flower, this face wash instantly hydrates while revealing a bright & light glow from the inside out! Enriched with purest form of Natural Green Tea extracts & Chamomile Flower! Green Tea - Has anti oxidant benefits that help in fighting free radicals, and adding the extra boost of glow. Chamomile Flower - Helps in soothing & hydrating sensitive and all types of skin.